The Chase Freedom card is arguably one of the best “cash back” credit cards out there. But, don’t be fooled! It’s not actually the cash back rewards that make this rewards card so great. The Chase Freedom credit card always has a place in my wallet because it packs a ton more value than some of its closest competitors. What is the Chase Freedom? There are 2 versions of the Chase Freedom card, the original and the Freedom Unlimited. The benefits of each card are the same. The difference is in how the earning is structured. The original Chase Freedom card earns 5% cash back or 5 Ultimate Rewards points per $1 spent on a selection of rotating quarterly bonus categories up to $1,500 or $6,000 annually. All other purchases automatically earn 1% cash back or 1 Ultimate Reward point per $1 spent. Each quarterly bonus needs to be activated in order for the 5% or 5 points per $1 to kick in. 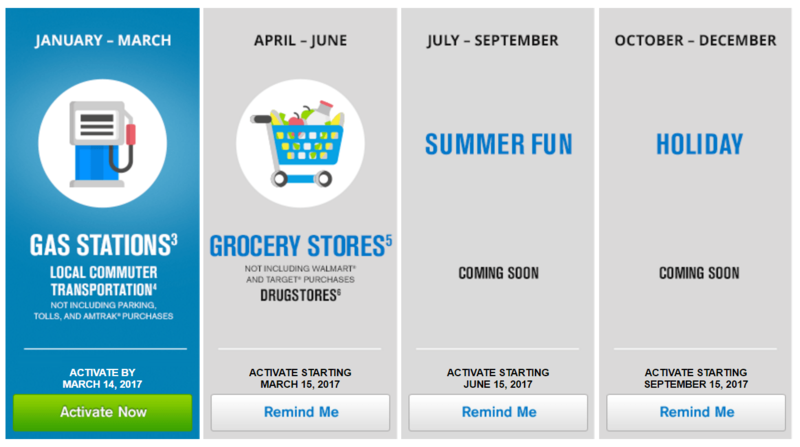 You can do this easily from within your Chase account online or even sign up to get email and/or text reminders when it’s time to activate the bonus. 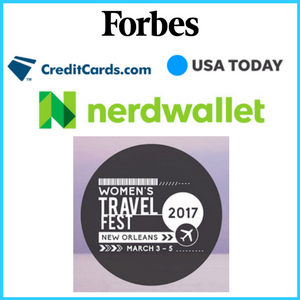 Earn 5% or 5 UR points per $1 on these bonus categories in 2017. In comparison, the Chase Freedom Unlimited earns 1.5% cash back or 1.5 Ultimate Rewards points on all purchases with no spending cap. Otherwise, the 2 Freedom cards are exactly the same. What are the Chase Freedom features? The Freedom cards have no annual fee. 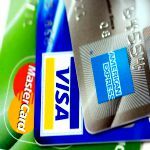 No-fee credit cards should be kept open regardless of how much you’re using them. Your credit score is calculated from a variety of factors, including the age of your accounts. Keeping a no fee card open for the long-term brings up the average age of your accounts, and thus, your credit score, too. The Freedom cards come with a $150 cashback bonus or 15k Ultimate Rewards point sign-up bonus after spending $500 in 3 months. You can earn an additional $25 or 2.5k Ultimate Rewards points for adding an authorized user within that same 3-month period. 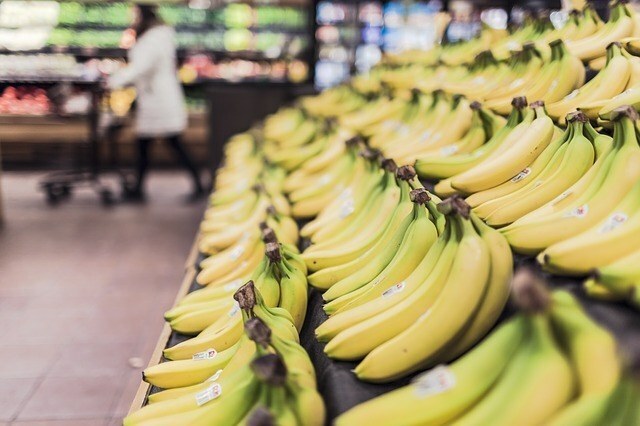 Earn 5 points per $1 on grocery store purchases! Get a 0% intro APR on purchases and balance transfers for the first 15 months after opening your credit card. Afterward, the card has a variable rate of 15.49%-24.24%. 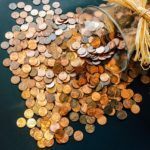 However, you should never spend more than you can afford to pay off in full at the end of each month or the interest will negate the value of your cash back rewards or Ultimate Rewards points. Use the Freedom cards confidently knowing you’re protected from unauthorized purchases, faulty or stolen goods, and purchase price increases. The Freedom cards do have a 3% foreign transaction fee. Keep your Freedom card home when you travel to avoid paying these fees. How do you redeem Chase Freedom rewards? On its own, the Freedom cards earn cash back rewards. These rewards can be redeemed as a statement credit, directly deposited into your checking account, linked to your Amazon account, used to purchase gift cards or to book travel within Chase’s own travel portal. The real value of the Freedom card, though, comes when it’s paired with a Chase Sapphire Reserve or Preferred or the Ink Preferred or Plus. In this case, the cashback rewards can actually be considered Ultimate Rewards points that you can merge with your Ultimate Rewards point balances earned with the cards mentioned above. I always merge my Freedom rewards into my Sapphire Reserve account to make use these partners. In addition, my Sapphire Reserve gives a 50% bonus on all Ultimate Rewards points I use within Chase’s travel portal, adding even more value to those points earned with my Freedom card. When should you get a Chase Freedom Card? A Chase Freedom card should be among the first 1-2 credit cards you get as a miles and points beginner. 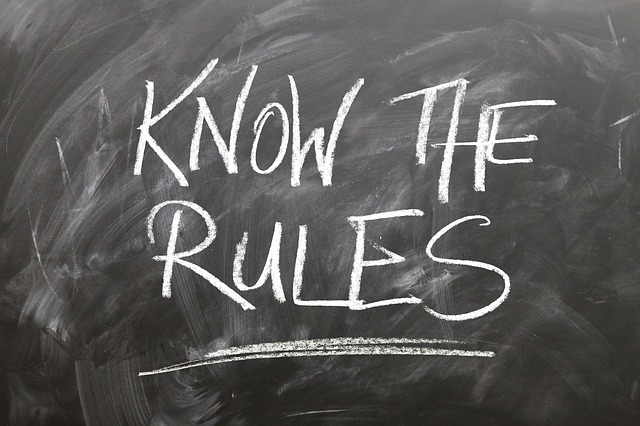 Chase put in place a policy known as the 5/24 rule. 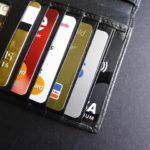 This means Chase will not approve you for most of their credit cards if you have more than 5 new credit cards in the last 24 months from any bank. This is the case even for folks with an excellent credit score. 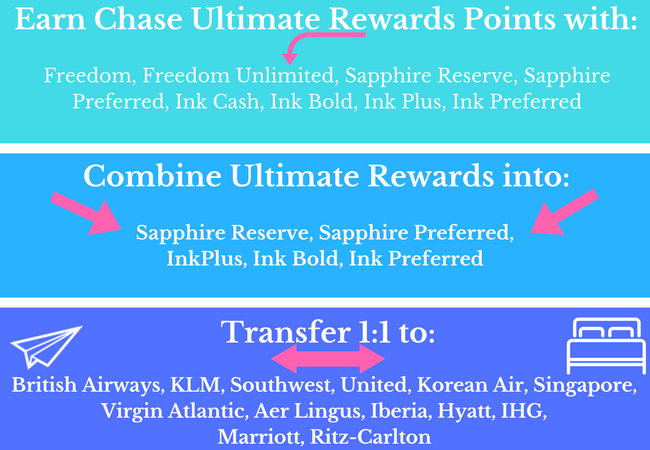 Chase Ultimate Rewards points are among the most valuable points currencies available. You don’t want to miss out on the chance to earn as many of them as possible because of too many new credit cards in the last 2 years. With the original Freedom card, I earn 5% cash back or 5 points per $1 spent on quarterly category bonus purchases up to $1,500 per quarter. I never take the cash back, though. I always merge the rewards as Ultimate Rewards points to get the most value. Luckily, Freedom math is not this complicated! If I max out each quarterly bonus category, I’d earn 7.5k Ultimate Rewards points each quarter or 30k points annually. All other purchases, as well as purchases over the $1,500 cap, earn 1 point per $1 spent and would be in addition to the 30k points earned from the quarterly bonus. That’s a ton of value from a no-fee credit card! 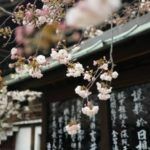 Consider, the 30k Ultimate Rewards points earned is already enough for at least 1 round-trip domestic flight. Add in the 15k points earned from the sign-up bonus and you’ll be on your way to the Caribbean, Central or South America. The Chase Freedom credit card is an essential part of any solid miles and points earning and redeeming strategy. By pairing it with another Ultimate Rewards earning card like the Chase Sapphire Reserve, you’ll supercharge your travel rewards. With all of these terrific benefits, how could the no-fee Chase Freedom credit card not have a permanent place in your wallet, too? Do you have the Chase Freedom credit card? Which credit cards do you always have in your wallet? I wish us Brits has rewards cards like this! We have the odd few but the rewards are nowhere near as good as what you guys get! Thanks for reading, Lauren. Check out Travel the Globe 4 Less for some great U.K. travel hacking tips. I always wanted this card, but it is not offered in Canada. I even tried Chase and my request was declined. Unfortunately, there is no similar card here in Canada. We are lucky here in the U.S. with our credit card rewards, Vishal. Sorry to hear you couldn’t get the card up in Canada. I’ve always really enjoyed cards that accumulate airline points (either branded or not). I don’t think I realized you don’t have to take the cash back, rolling your credit into points. And frankly, there are so few fee-free credit cards these days that these seem like a rare bird indeed (I just got hit with a $500 fee on one card!). There are always more choices out there worth looking at! Agreed, Julie! You should always look at all the choices and know all the features of your cards. This no-fee card packs a lot of punch and earns big time rewards, even more so than a few higher fee cards that I have. It’s a constant checking and re-checking to make sure you’re getting the most value. What a great card to have! I love how you can merge your points with travel partners, including airlines and hotels. Super handy to have to travelers! So handy, Cat! The airline and hotel partners give such flexibility. Oh this certainly looks like an interesting card to take on your travels. I love how many options there are now for us travellers. Though it can be a bit daunting at times. It can be, Jean, when you first start out. But, once you know how to use the benefits, you see how fantastic all the options are. Sounds like a great way to get some discounted travel with points. No Chase in our country, but there are other cards that offer points though. My son has this card and swears by it. I’m going to look into it as well. It can be so confusing to figure out all the different cards’ benefits and rewards. Thanks for making this simple. Fantastic to hear your son has and loves his Freedom card. It’s such a smart card, Lois. It’s worth the time to take a look learn what travel benefits it can earn. 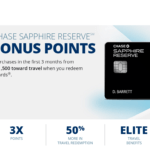 I currently have the Chase Sapphire Preferred card and I love the points I get from it. It’s already gotten me a few flights and hotel stays. The Chase Freedom cards sound great too though. I love that there’s no annual fee! The Chase Freedom could supercharge your points earnings, Vicky! I highly recommend pairing it with your Sapphire. I’m a teacher as well and am new to travel hacking. 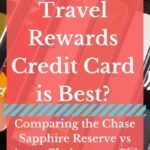 Recently, I got the Chase Sapphire Reserve (managed to snag the 100,000 points in March by going in to a branch) but want my husband to start earning points as well. I’ve thought about starting him with a Chase Freedom Unlimited since we already have a card with the 3x travel, etc. If we do that, can I transfer his points to my Reserve account, or will he be held hostage because he doesn’t have the CSP or Ink? Do you have a trick for meeting a category bonus that you usually don’t spend very much money on? For example, it would be difficult for me to me the $1500 spend on restaurants … aren’t there some creative ways around it?